Washington - The Republican leader in the U.S. House of Representatives said he would take action against two Democrats who have sharply criticized Israel if the Democratic majority did not do so. McCarthy noted that he had recently taken action to isolate Rep. Steve King, R-Iowa, who has long associated with white supremacists. The precipitating event for McCarthy was when King wondered in an interview why terms like “white supremacy” were stigmatized. Why are those lowlifes, so-called-friends-of-Israel, Schumer and Nadler quiet about this? If they can flap their gums about Trump's supposed "collusion" why can't they show the same outrage over these two anti-semites? Luzzen zay bayder liggin in drehrd. 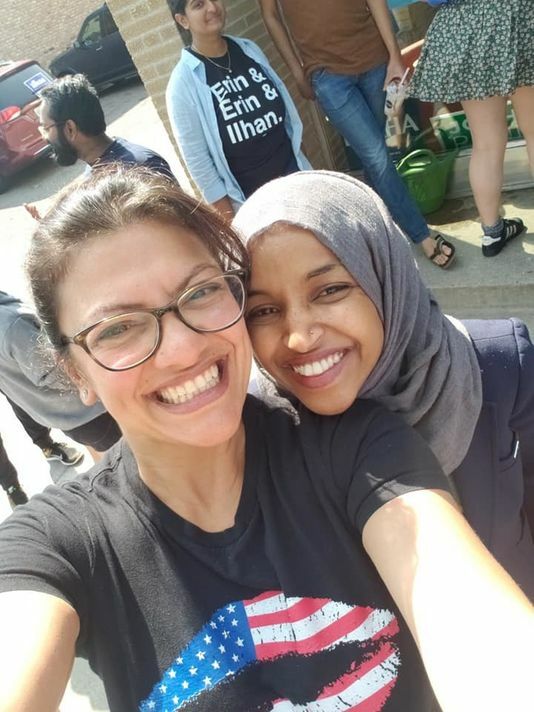 Crazed Pali Muslims infiltrating Congress. Only in America, folks, only in America. How are they ANTI AMERICAN? This is the best the dems have to offer?It's a sad party. The party of slavery and anti semitism is showing their true colors. It's a shame they high jacked a party I once proudly supported. Check your software. You have 2 #1 comments, 2 #2 comments, etc. My guess is they are afraid to make in a Jewish-Muslim issue. They may want a non-Jewish member of Congress to lead the response. Still not ok but they need to respond without the left wing faction responding by ramping up BDS support and rallying around these two. America First. Our new enemy's are Canada, France, most of Europa and unfortunately ISRAEL. Once a meshugeneh calls Canada and other democracies the Enemy, Israel is not far behind. We knew this is coming. Thank you President Trump and the Yiden who voted for him. Nixon was followed by Carter, Trump bu AOC. True, they are not "anti" what American has com to mean in this day and age. They are, however, anti-[some of the founding fathers' idea of] American. Get rid of the shrew, pelosi, she's the problem not the solution !!! Why does only one of these Congresswomen wearing a schmatter on her head, instead of both of them? Check your IQ level if you can't figure it out yourself. why doesn't anyone read the Koran? I did, and it is filled with declarations that Islam must take over the world. Check your intellectual integrity if that’s your only response. American means to stand up for democracy and those that stand with us. Paestianins hate democracy and free ideals. Just last week they brutally murdered and abused a jewish girl. Palestinains are anti women and treat them like trash. And they are murderers. Those who don't stand with people and countries that support opur ideals are ANTI AMERICAN. Those that support countries that choose terror over freedom and that promote killing others and mistreatment are ANTI AMERICAN.